The School of Arts in Malaga began in 1851founded as School of Fine Arts under the tutelage of the newly founded Academy of Fine Arts. Both were located in the building of San Telmo, the old convent of the Jesuits in Compania street. Since its foundation it was aimed to train professionals for the booming Malaga industry of the XIX century, also demanded to compete with foreign products but at the same time is the germ of what later was called the Malaga school of painting. Also the nineteenth century created the “Class of Ladies, a pioneer in art education for women. With the beginning of the twentieth century there were a series of reforms happening. In 1900 the school was renamed the School of Arts and Industry , and starting in 1906 it began to officially create the first workshops in order to equate with their European counterparts. In 1910 a new reform by the Minister Julio Burell divided the schools into Industrial and Arts and Crafts. Its teachings were separately classified in sciences – industrial artistic – industrial. The School of Málaga with the name of the School of Arts and Crafts and Industrial Expertise, both teachings were definitely separated in 1924. From that time the School would be renamed to Artistic Arts and Crafts, separating from Industrial Experts. In the field of artistic professions, the School has always been adapting to the demands of the city. 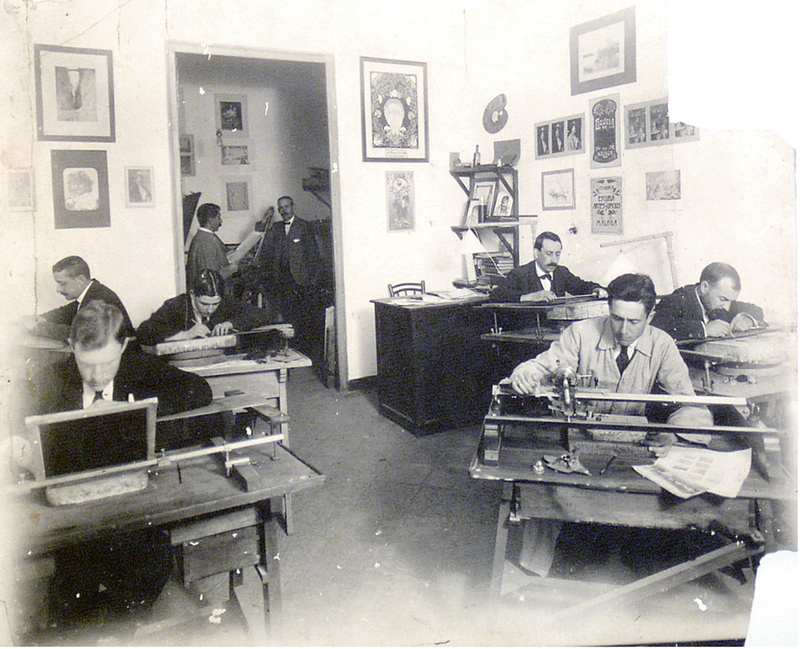 For example, in the nineteenth century, specializing in our large classrooms the lithographers such as Joaquin Rafael Alcalá Díaz Gutiérrez , master throughout several generations of graphic arts professionals, scattered throughout Spain and Estados Unidos . Later, with the establishment of the Diploma in Applied Arts, it responded to the demand for new professionals as Decorators and Marketing specialists, never forgetting the traditional crafts. Today, the School of Art San Telmo is still adapting to the needs of our city and starting from the year 2012/13 the Higher Education (University Degree equivalent) will be taught in Graphic Design and Fashion Design. This makes reality come true, the claim that these specialties have academic recognition, according to the professional recognition they already had.